We're thrilled to announce that our second TEDxBemidji event will take place on Thursday, October 18, 2018 at The Historic Chief Theater, Bemidji, MN. While volunteer opportunities for this event will be limited, we would love to begin to build a community of folks who want to help at subsequent events! Do you want to get involved? Fill out our volunteer application and let us know how you'd like to help. Volunteers for set up, day of, and break down of our event #2. Social Media supporters—are you passionate about TEDx? 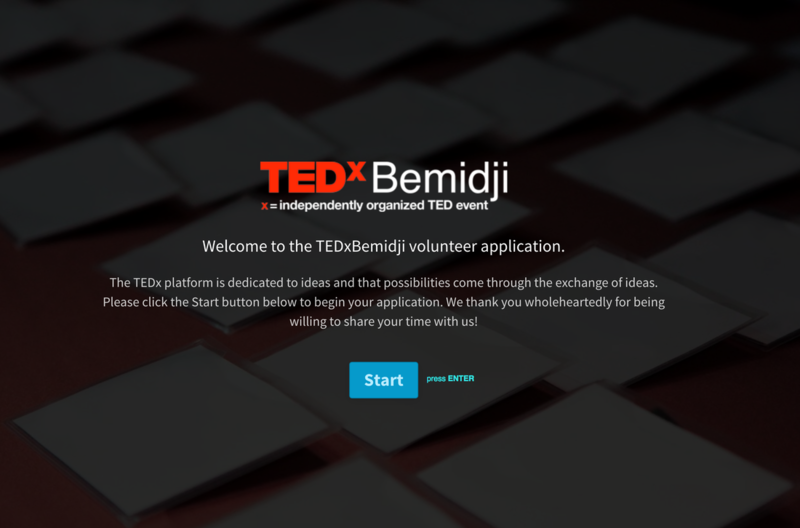 We’re looking for people to like, share, retweet, and show TEDxBemidji some Instagram love! Specific talent: We are also looking for a website designer who is comfortable using Weebly to join our team. beautiful northwoods of Bemidji, Minnesota, the first city on the Mississippi River. This independent TEDx event is operated under license from TED. TEDxBemidji is located in the beautiful northwoods of Bemidji, Minnesota, the first city on the Mississippi River.